The legendary Syrian sense of humour is never far from the scene. Tomorrow is the day set by the regime for a referendum on the new constitution. 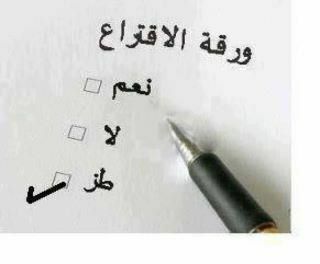 Somebody has put a spoof election card with the options: Yes; No; Toz (meaning whatever or pfftt). Absolutely wonderful.